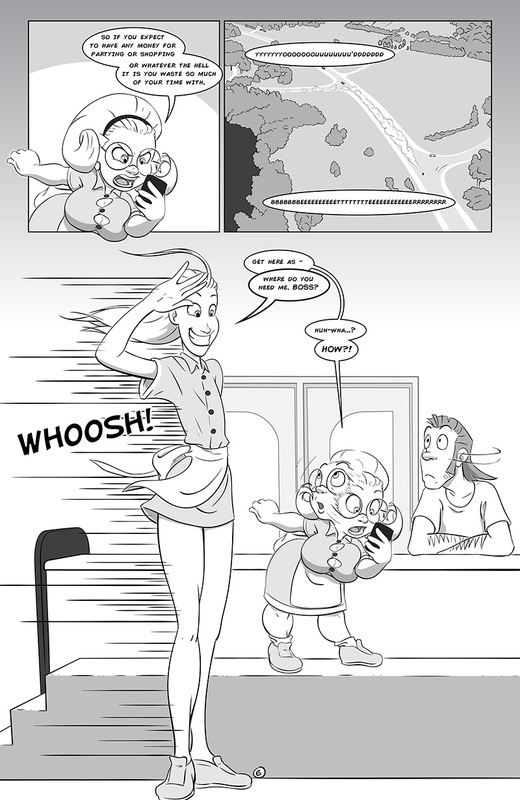 Here it is – the sixth and final page of what was originally supposed to be a 3-page comic! A comic that was started over 14 months ago… holy crap that’s depressing… But it’s over now, and I can step out into the sun again, see colors, and maybe even experience this thing called “joy”. After 14 months I can’t remember clearly, but I’m told it’s a great feeling. 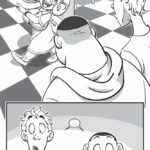 The delays started to creep in because I hadn’t properly planned it from the start, but only realized that after the first page had already been completed and posted. The original idea would have been much shorter, but it felt too lazy, and not like a proper intro for Rose. The nutty thing is, now I’m thinking about putting together a special edition PDF for my patrons – aside from collecting all the pages into one file, it might also include a color cover, and the original 3-page version carelessly hacked together from bits of the final pages so folks can see the difference.